We always love to try the new products ... 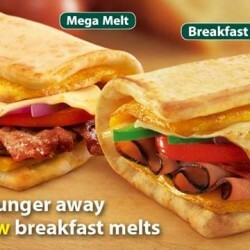 Grab bigger satisfaction with a Mega Melt or Breakfast BMT Melt today! Are you an early diner with huge appetites? 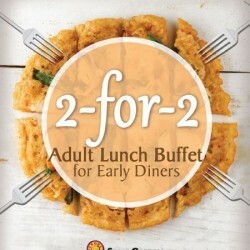 Seoul Garden @ Marina Square is now offering 2-on-2 adult lunch buffet! Get 2 buffet Free for every 2 paying adults if you dine in and pay before 12 noon (you can still eat till 230 pm)! Beat the lunchtime crowd and treat yourself and your colleagues double the buffet goodness by just being early! Valid till 30 April 2014. Wrap it up and unwrap good times! 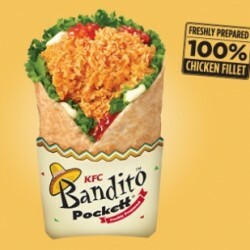 The Bandito Pockett is here! Hot & Crispy chicken fillet served on a bed of fresh lettuce, topped with zesty salsa & mayonnaise, wrapped in a toasted tortilla. Wrap it up and Unwrap Good Times! Only at KFC! 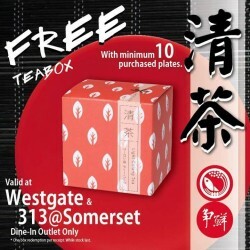 Sushi Express 313 somerset and Westgate outlet will be giving out free tea box with every 10 purchased plates! Valid from 2 March 2014 while stocks last! 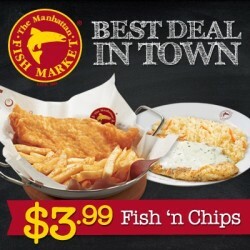 BargainQueen thinks that this is the best Manhattan Fish Market deal in town! S$3.99 Fish ‘n Chips (Takeaway only, min 4), MUST TRY! Time for Japanese Buffet! 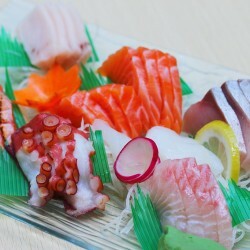 Enjoy Shinkei Japanese Restaurant Buffet at only S$34.90 Nett! 【Review】the followings are some review photo from our foodie! 3rd March is Yakun's 70th Birthday! 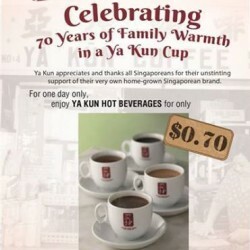 For today only (2014.3.3), enjoy All Hot Regular Beverages at only S$0.70 at Yakun! Come by early to Ya Kun to enjoy the drinks! Do note that selected stores will be opened till 3pm only as they need to prepare for 70th Thanksgiving Dinner. *promotion available at all Ya Kun Singapore stores except for Far East Square and Takashimaya stores. 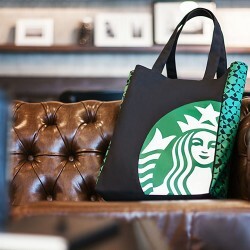 Whether you're off for a quick coffee run or lounging at a cosy picnic, the Starbucks Tote Bag is destined to become your new weekend essential. A redemption voucher will be issued upon attaining the 16 handcrafted beverage count. Availability of tote bag while stocks last and redemption vouchers will expire 1 May 2014. Handcrafted beverages include those which require barista preparation – espresso, tea, Frappuccino and chocolate beverages from the menu. 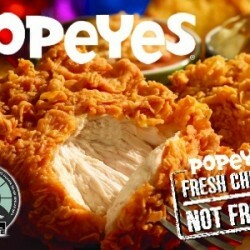 Popeyes' Chicken Tenders are back to Groupon! S$4.90 for 5-Piece Chicken Tenders at Popeyes in 14 Outlets Islandwide (Worth $8.25). Probably not saving much in terms of absolute value, but it is still near 50% OFF! No harm saving mah! 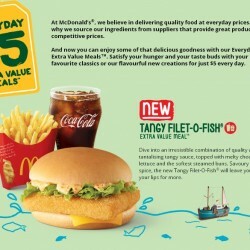 McDonald's Singapore is offering their new Tangy Filet-O-Fish Extra Value Meal at only S$5! Not available via McDelivery, at iFly Singapore, Resorts World Sentosa and institutional stores. 【Venue】McDonald's Singapore outlets, Not available via McDelivery, at iFly Singapore, Resorts World Sentosa and institutional stores. Marina Bay Sands is holding the first major computer and consumer electronics exhibition IT Show 2014 from 27 Feb - 2 Mar 2014. 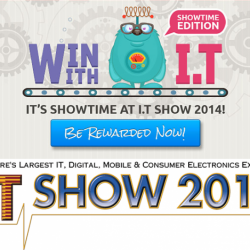 In the mean time, Food & Beverage Fair 2014 is held at Suntec City. If you are really kiasu and wanna attend the two fairs in one shot, you can take the regular free shuttle bus from one fair to another. 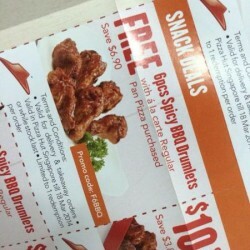 Pizza Hut Singapore is offering FREE 6pc Spicy BBQ Drumlets with a la carte regular pan pizza purchased with Promo Code 【F6BBQ】. Pasta lovers can get pasta at S$5 only, with promo code 【5PASTA】. 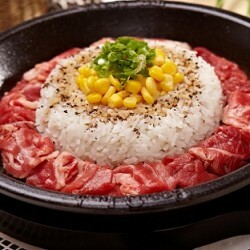 Pay only S$6.5 and get S$10 worth Sizzling Steaks, Pepper Rice, Pastas and Curry Rice at Pepper lunch! Five locations available (JEM, Woodlands, White Sands, Bedok Mall, Feast @ Jurong Point). 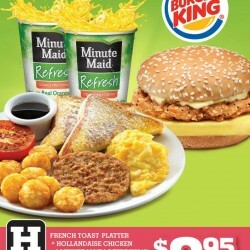 Special promotion from Burger King! 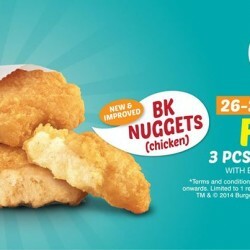 Free 3pcs BK Nuggets with every transaction at Burger King from 26 February to 28 February 2014! Promotion is available from 11am onwards. Limited to 1 redemption per transaction. New Ways to Save with Burger King! Check out the e-coupons below and enjoy the best save on the awesome eat in Burger King! 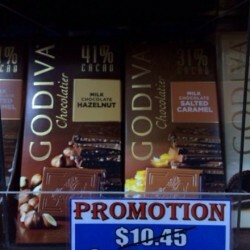 It is spotted by our fans that Bedok North S460217 ABC is having a crazy promotion for Ferrero Rocher & Godiva. Chocolate lovers would not want to miss this opportunity to stock them! Famous for its Sichuan style Fish (烤鱼) and many other delightful dishes, Tong Fu Ju Sichuan Restaurant is now having a S$20 for S$40 promotion at Groupon.sg! It is a sad fact that without the addition of a few out-of-the-ordinary experiences that make up the spice of life, daily existence can get pretty mundane pretty quickly. Celebrate a special occasion, the presence of friends and family, or just the gift of being alive, at Tong Ju Fu Sichuan Restaurant, and sink your teeth into something worth a rave. The restaurant's culinary staff are comprised of Sichuan natives, experts in the art of preparing cuisine reminiscent of that part of the world, and have conjured up a bunch of signature dishes that are guaranteed to have diners craving more. Why have 1 when you can have 2? 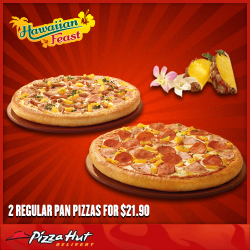 Get your hands on 2 regular pan pizzas for $21.90 for Double Box delivery and have an epic Hawaiian feast! KFC Breakfast Promotion 2014 Only S$2.95! 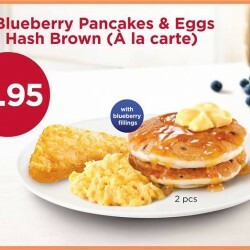 Stacked to perfection, our blueberry pancakes come with eggs and hash brown - and it is only $2.95! These aren't only delicious, but affordable too! It's on Groupon! S$4.90 for 5-Piece Chicken Tenders at Popeyes in 14 Outlets Islandwide (Worth $8.25). Probably not saving much in terms of absolute value, but it is still near 50% OFF! No harm saving mah! 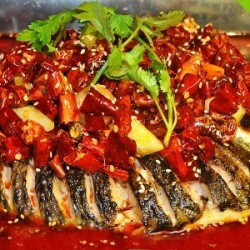 Enjoy S$15 for S$30 BBQ Seafood, Meat and More at Xin Yu BBQ in Paya Lebar by Groupon.sg! 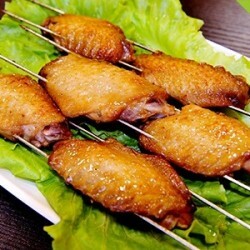 Xin Yu BBQ provided quality BBQ, and with good service as BargainQueen had personally visit the shop before. There's unlimited Groupons per person, but we feel that one coupon is sufficient for one pax. 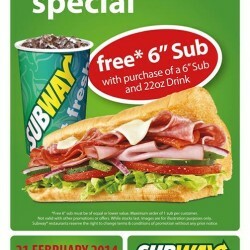 Enjoy Subway Buy-One-Get-One Free Promotion at Republic Plaza outlet! Only valid on 21 Feb 2014. 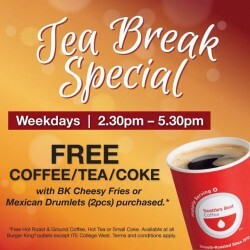 Enjoy FREE Coffe/Tea/Coke every weekday from 2:30pm to 5:30pm with purchase of BK cheese fries or Mexican drumlets (2pc). 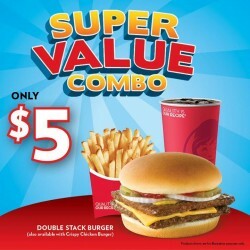 Wendy’s Super Value Combo Only at S$5! You never have to pay the price for quality! Super Value Combo at S$5! Choose between our Double Stack Burger or Crispy Chicken Burger paired with our Natural-cut Fries and a soft drink! Available after 11am. Limited time offer. Visit Wendy’s today for something Superrrrrrrrrrrr! 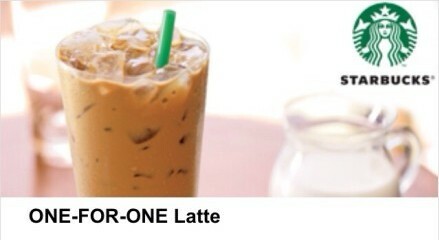 Nothing beats enjoying a cuppa with a pal - Enjoy a one for one tall latte at Starbucks! Find the deal at NETS Saver App and pay by Flash Pay to enjoy the deal!